We all know the important role the police and emergency services play in organ and tissue donation. They provide support for the transporting of organs, and they’re responsible for getting people to hospital in time. 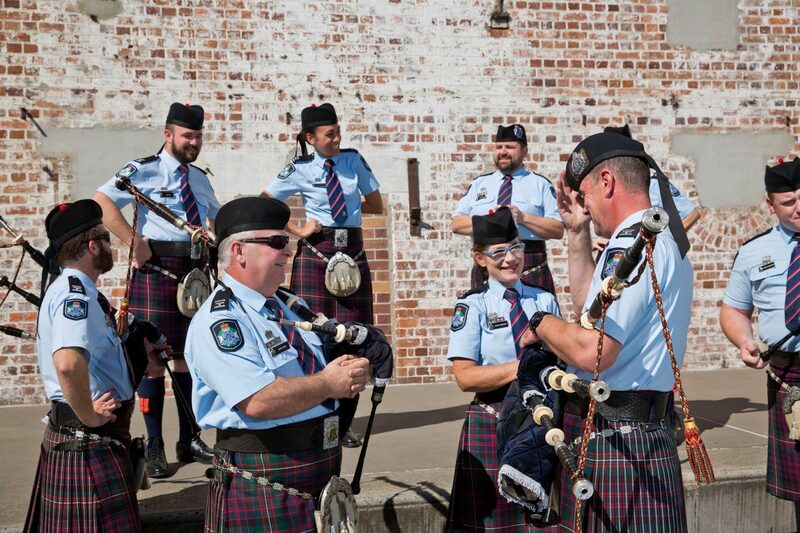 That’s why Transplant Australia is pleased to announce that the Queensland Police Service is taking part in the Australian Transplant Games on the Gold Coast through their Pipes & Drums band. The Queensland Police Pipes & Drums will lead the Street Parade on Wednesday October 3. The Street Parade is the one of the core events of the Transplant Games, wherein each state team lines up to form a guard of honour for donor families and living donors. This key occasion provides transplant recipients a chance to express their thanks to some of the people who make donation possible. The Australian Transplant Games unites all those touched by organ and tissue donation, including healthcare and emergency professionals, for a week of social and sporting activities. Registration is now open. Check out the schedule, choose your events, and get ready to make new friendships that will last a lifetime. Final parade rehearsal for graduating Intake of 6/2015…getting rid of some nerves by breaking out the #runningmanchallenge Pipes & Drums have some great moves. Thanks everyone.